Every year, more and more people start growing their own vegetables. It’s estimated that 35 percent of households consume foods that they grow at home or in a community garden, which is an increase of over 200 percent since 2008. Although gardening is becoming more mainstream, it is still a daunting task for those who’ve never done it before. If you’ve never grown vegetables but would like to try, the following guide will help. Before you can decide where to place your garden, you have to decide what type of garden you will create. Traditionally, vegetable gardens are placed on a large swath of flat lawn, but you’re not restricted to that; you can also choose to build terraces or use planters for your garden. The latter is a great idea for condos or areas where space is limited. Choose a spot that gets at least six hours of direct sunlight per day – 10 hours is ideal. Since your garden will need lots of water, you also want to be sure to pick a spot with an accessible water source, such as a water spigot, pond, or irrigation system. For a successful garden, you want to choose a spot with good soil that’s not too sandy or too rocky. Good soil will not crumble when it’s damp. You should be able to gently squeeze it and see it take the shape of your hand, even if it’s for an instant. Make sure the soil also drains properly. To make sure of this, choose a spot that’s in a flat area of your lawn where water does not stand after it rains. Lastly, check for hidden dangers underground. Avoid placing your garden next to utility lines and underground structures, such as a septic system. Pay attention to what’s growing around your garden as well. Some types of plants and trees can be toxic to your garden. 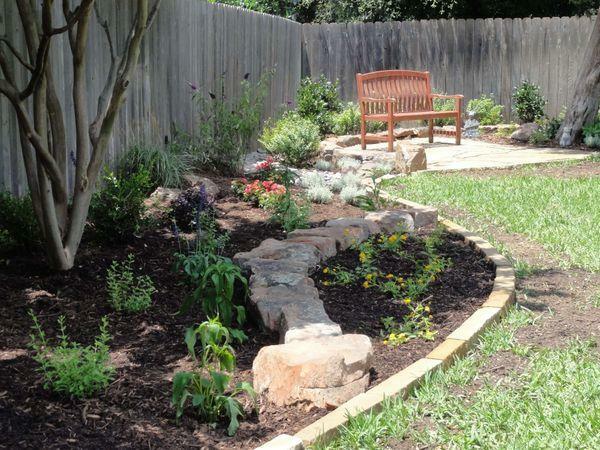 Choosing the right spot for your garden may be difficult, but proper placement is critical. Take your time and choose wisely. Before you can plant vegetables, you must till your garden. Tilling involves removing all of the grass and vegetation growing in the area and turning over and breaking up the soil. You must aerate at least 18 inches of soil for your garden to be successful. During the tilling process, most people take the opportunity to add compost or fertilizer to the area. Different plants thrive in different areas. Your local extension office or plant nursery should have information about the vegetables that will grow nicely in your region. When you purchase seeds or live plants, they will come with instructions as to when and how to plant them. Be sure to follow all instructions carefully. After a few weeks, your veggies will begin to sprout. You can take this time to add a layer of mulch. This will greatly reduce the amount of weeding you will have to do, and it will also help with water retention. Your garden will require approximately 1 inch of water per week. If you don’t get enough rain, you will have to make up the difference. When you water your plants, water the root of the plant; do not get water on the leaves or blooms, as this will leave your veggies vulnerable to disease. Remove weeds at least once a week. If you allow them to take over your garden, they will outcompete your plants for resources, and your garden will suffer. Take a few minutes to remove dead leaves as well. Add fertilizer to your soil every three to four weeks. This will ensure that your garden is always well-fed. With sunlight, water, nutrients, and your loving care, your garden will thrive and become a great source of fresh produce for your family. If you want help establishing your vegetable garden or with any other aspects of your landscaping design, contact our team at Landscape By Design.